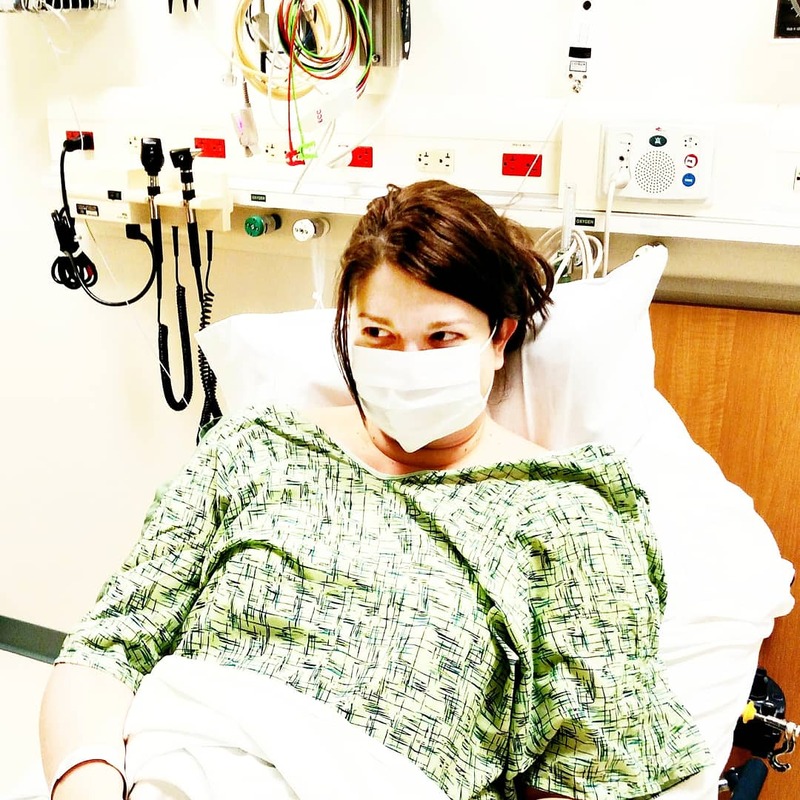 If we are connected on instagram than you know that last evening held an unplanned and unexpected trip to the emergency room. 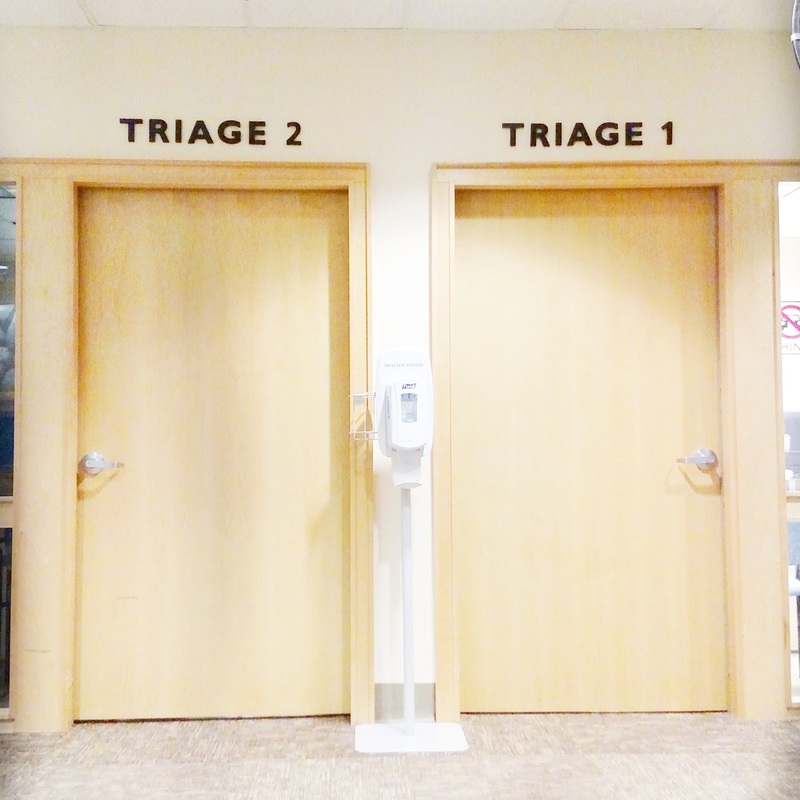 As I sat in the waiting room staring at the triage doors in front of me (seen in the picture above) I couldn't help but think about how grateful I am though to be at this point in the journey. Five years ago trips to the ER were pretty much nightly (or daily) or every other day events due to severe anaphylaxis reactions. Here we are so many years later and while it was a necessary trip (due to an issue with #courtneytheportney) it is a simple trip. As I waited to be seen I had tears of gratitude... These beautiful healing moments take my breath away. And this is the look I have at 2am when my mom is giggling § trying to tell distracting stories while we waited for ultrasound results. Hahaha even after all of these years of ER visits my mom keeps me laughing about hospital "fashion" gowns. HAHAHA. Thank you so much for all your kind messages, sweet texts, love and prayers. Thankfully there was no blood clot § #courtneytheportney looks good. The pain is a bit better § I appreciate your thoughts & prayers for it to completely heal (especially as I head out to Florida tomorrow). So grateful for y'all! Humbled by nurses § doctors who are so knowledgeable, kind § compassionate (even putting me in a private room due to my compromised immune system). To my tribe...thank you for your support. I love you guys! !